For those about to hug, we salute you. 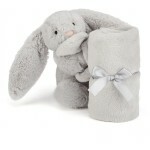 Scampering through the forest, you might just spot the Bashful Silver Bunny Soother. 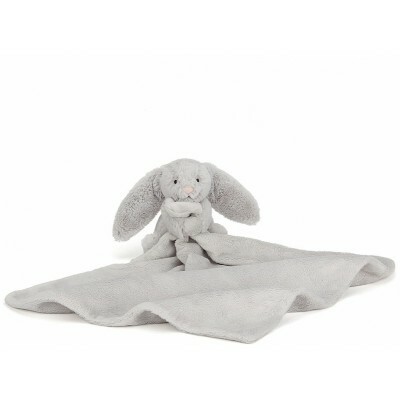 This scrummy-sweet bunny with flopsy ears looks after a soother just as soft as herself. 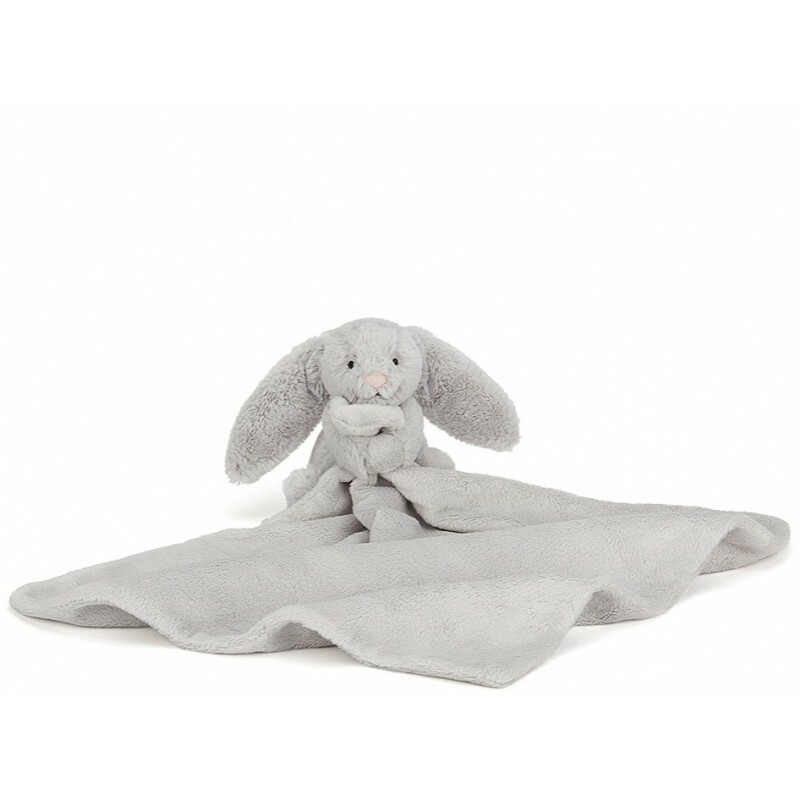 Perfect for sleepyheads and tots on the hop - from buggy to cot, she's a bunny boon.